A deep study, verse by verse, of one of the clearest sections in the Old Testament that point to JESUS being THE MESSIAH. Follow the man of GOD and learn how GOD molded HIS prophets. Miracle after miracle, and day by day, study a man who GOD used greatly yet had a nature like ours. Occupy Till I Come, Luke 19:13. Did you know to occupy originally meant to do business, like a banker or a trader?! Learn how to do business on the Trading Floors of Heaven and start to master part of the curriculum of Heaven Today. Also available as Video Download. What is the line of David? How does David typify JESUS the Messiah? Why 5-why smooth-why stones to destroy the enemy of Israel-Goliath? Why were the stones drawn from the water? And more...a deep 5-hour study. One of the most fascinating studies in types; Learn dozens of ways the life of Joseph foreshadows and teaches about the Messiah JESUS; a deep 5-hour study. JESUS has come, and surely HE is coming again! What are the signs of HIS First Coming? What are the signs of His Second Coming? HE chided them for not knowing the signs of HIS First Coming; we must be aware and know the signs of HIS Second Coming, and the rapture. Come and see a fascinating study; through Hebrew eyes. Christianity is an aggressive faith, a conquering faith. Not against other human beings, but a faith that changes the world, bringing heaven to earth. Every good thing is worth fighting for, even dying for. Everything GOD calls you to do is worth living fully for, to honor HIM. I will not leave you orphans. The Promise of GOD; WHO is always there for us, WHO never leaves us or forsakes us. Understand how this works, and how to be present with THE ever Present GOD, and realize in the most profound ways that you are not now nor ever will be alone. Did JESUS wear a head covering? Is a teacher given higher honor than parents? What does destroy and fulfill the law really mean? What is Jesus' yoke? In understanding timeless truths, we often don't see clearly all that there is for us to see due to differences in culture and customs. Examine with us many of the customs and cultural differences, through Hebrew eyes. Enemy number one. satan is your enemy; he is your primary enemy. We need to properly understand him and his tactics, his craftiness and his maneuvers, as GOD would not have us be ignorant of the plans of the enemy. Finish it! We must finish everything we started; everything that GOD gave us to do. A half done job is an unfinished job, and brings disrepute upon the person and their faith. Finish your race, keep your faith, fight the good fight. Learn how to finish what GOD would have you do, and how to see it through, in all you do. You are not alone. The Holy Spirit will help you. Learn the Spirit's Ways. JESUS said: It is finished!! HE finished what HE came for. HE did what HE said HE would do. HE kept HIS WORD. Learn to follow in HIS footsteps. For This Purpose, The SON OF GOD was manifested, that HE might destroy the works of the devil. To destroy, to annihilate, to obliterate, the works of the devil. We must study The Purposeful manifestation of THE SON of GOD and HIS glorious fulfillment; from which and through which we can gain understanding of our purposeful existence and its fulfillment. A deep and essential study. We are seated with HIM in the heavenlies-Ephesians 2:6. And yet you are here too! How to be in two places at one time, how to flow in it, and make great advances in The Fulfillment of your race. God is in our midst. How rare we see it! How rare we know it. Let us take a great journey tonight together to explore, examine, and come to understand that GOD is in our midst, ever desiring to be with us. From Genesis to Revelation, let us examine where GOD wants to be. God has told us what is good. Learn what is good through Hebrew eyes and how to do it for HIS Glory! Further, take a Biblical look with us at goals that a Christian must accomplish in this life, if their life is going to meet the high calling GOD has on each of us. And finally, another look at our GOD; how great THOU art! Come and see? GOD gave it all. GOD continues to give HIS all, and GOD will ever give HIS all, for this is WHO HE is. Understanding the Giving Nature of GOD, What and WHO HE has given, HIS Plans for future giving, is a true look into the Nature of GOD and HIS Plans for us. Seeing this same pattern in each member of the GODhead is both fascinating and revealing; and draws you ever closer to your GOD. What a word! For it evokes such feelings of wonderment and joy, expectations and hope! What does The Bible say about heaven? A lot! Come and see what a preview GOD has given us of a place that truly is heavenly? Home. What a comforting word; what a beautiful word. The word evokes a place of rest, comfort, security, safety, love, and belonging. Home. What does The Bible say about a home? Much. God talks about a specially prepared place for you in His House. The Temple was also seen as The House of God. Even your body is your temporary house while you are on earth. Come and explore deeper these and other concepts about your home that will make you feel right at home as we study together, through Hebrew eyes. We seek to obey, and often we do, but without love. At other times, we love, but we fail to obey. We need to learn to obey The Love of GOD, and then we will learn how to love to obey GOD. If it's going to count, all we do, must be done through love. Learn how to love to obey, through Hebrew eyes. We are made in The Image and likeness of GOD. Amazing! But what does that really mean? How can we use that knowledge to help rediscover who we are and how to fulfill our destiny? Come and study with us a fascinating topic through Hebrew eyes, designed to bring you into a closer walk with GOD. Come and see? Learn the meaning of marriage through the deeper meaning found in Hebrew. Your marriage will take on new depth, you will each gain new strength and the two will be one! Laid out to aspire to and to realize; in -and of- and through CHRIST; It can be-and will be fully accomplished in you; Come and See... Matthew chapters 5-7. An analysis of The Return of THE LORD known as The Rapture and HIS Second Coming to Rule and Reign on earth. The Focus will be on 1st and 2nd Thessalonians, with The Bible and It's Original Language of Hebrew for It's proper interpretation, Come and See.. There are no limits, in GOD. All things are possible to the one who believes in HIM. Have faith, in GOD. Rock solid faith in the Rock. Unshakeable, immoveable, abounding in THE LORD. Stop getting in your way, and learn how to live beyond the boundaries of man, in GOD. No more excuses. Excuses are the work of the flesh and are excuses for sin. We must get past them by crucifying the one making them, So we can walk in the spirit with THE SPIRIT. Learn with us. A deep cry for so many of us! But why such a cry from one who knew HIM more than so many others. Why? What was he really looking for? Why did CHRIST say this? How do we do this? What should we expect from this? Come and see how to fulfill HIS Will for us, now. Not only obedience, but the desire to please GOD in all we do through obedience. There is a difference. Learn what pleases GOD and how to do that which pleases HIM, for a truly rewarding, edifying and fulfilled life. "And you will receive power...". This power comes from above. Power to be HIS Witnesses. Power to be more than a conqueror. Learn what greatness has been given to you from above and walk in it! Learn with us, through Hebrew eyes. A most beautiful Psalm that details, in order, how to mature a soul to serve and please GOD through progressive instructions to a soul in its journey toward and with GOD. 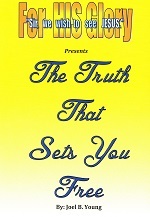 Come and see a most revealing study of the soul's journey, from aleph to tav, through Hebrew eyes. Study the Jewish wedding and the Holy Days and you will have convincing proof of the pre-tribulation rapture! 4 disc set. And much more. Discover the pre-tribulation rapture clearly revealed. Come and see…. The New Review! Old and New! Bringing it together! Learn about fasting, prayer, and how to be holy through Hebrew eyes. Bible codes, Nathanael: a prophetic picture, and the cool of the day! See the 1st and 2nd coming of Jesus in Genesis 1:1 through Hebrew eyes and much much more! Join us! Deep Studies! Be ready to learn! Finishing the race. How to start something from the very root and see it all the way through to its fruit! From start to finish, how to run in such a way that you finish the race; winning, producing, and succeeding in GOD's Purposes for your life. Unraveling the knots Many people, cults, and uninformed people have and continue to twist Scriptures to their own destruction. Here are hours of untwisting and re-opening up Sacred Scriptures: to help you see your GOD clearly! Let us now grow together in the grace and the knowledge of our LORD JESUS CHRIST. Come and see? See The Bible through Hebrew eyes. Dozens of verses with clear translations, deeper meanings and amazing insights, as we go through The Bible together. What really is agape? What is a vessel of wrath? Were there any other exodus accounts in The Bible? Did anyone ever pray to JESUS directly? And much, much more. Come and see? The body: uniquely created by GOD. How do we worship in it? How can we better understand it from a design principle point of view? What are its unique spiritual implications? All this and more, as you see it through Hebrew eyes. Come and see? If you are a Christian you must train like an athlete! 1. What do I eat? 2. What are the right attitudes? 3. What is the goal? 4. How do I do all this? 5. Who will coach me? There is a slight problem with the visual clarity of this teaching, however it does not materially affect audio or ability to well learn from the class. The Precious HOLY SPIRIT, GOD HIMSELF, so little understood, so little respected, so little sought after, so little obeyed. This changes now. Here today. Learn WHO this Precious and PERFECT ONE in THE GODHEAD is in our life, and how to walk with, learn from, and love THE HOLY SPIRIT. The book, Behold Yeshua Come and See, explained and taught. Highlights of the entire audio ministry to date with unique aspects of each audio series. JESUS said, "let's go over to the other side," and then went to sleep. Why? "I will return..." JESUS promised to come and return, "Behold I come quickly...” HE will Return. HE will Reign. HE will Judge. HE will come back as The Lion of The Tribe of Judah. HE will rule and reign with a rod of iron. Prepare yourself for The Return of THE KING. HE is Coming! A true understanding of The Bible, through Hebrew eyes: through The Hebrew Mind, through Hebraic Roots, through Hebrew culture-customs and language; all inherently coordinated and blended into a true mosaic that could only be THE WORK of GOD. Come and truly see, through Hebrew eyes. Ecclesiastes 3:1 To everything there is a season, and a time to every purpose under the heaven. Time: so much around us, running our lives, dictating our days. What is it? And how are we supposed to operate with respect to it? Learn through this fascinating study, more about time, timing, and the times we live in. Come and see? Thanks be to GOD, WHO is always leading us in triumph in JESUS CHRIST. How powerful! How blessed is This Truth! You are and will be and have been always led in triumph! In CHRIST! Learn how to follow. Learn what to do and what not to do. The Power of following and The Grace when we don't. Come learn to walk in HIM in triumph and triumph for HIM. Also available as a video download. Wake-up; we are more asleep than most think. Much of life is unlived, unknown, unrealized. We have yet to fully live all that GOD has for us here; we need to wake-up and live before THE LORD. Come and see, and wake-up now! Do I need to be sick, sad, or suffer to be a saint? What does tithing, ministry, the number 10, government and the gospel all have in common? They are all based on the same Hebrew word for "warrior-prince". Come and see how to win the Warrior's War, and learn your Bible, as you never have before. Also included is a detailed study of the Hebrew alphabet. A deep, revealing, and wonderful study. Look into the Hebrew background and language. Look into the ancient Greek texts and see the real truth about God's wonderful women. GOD bless women! And HE did. For His Glory Ministry is a teaching ministry of Dr. Joel Young. Copyright 2015. For His Glory Ministry. All Rights Reserved.